Where do you eat out in a group in Sydney? When eating out in sensational Sydney, sometimes it takes more than a party of one or two people to tango. We want that group camaraderie. Some cafes and restaurants make it easier than others. Therefore, where is the best place to eat out in groups in Sydney? 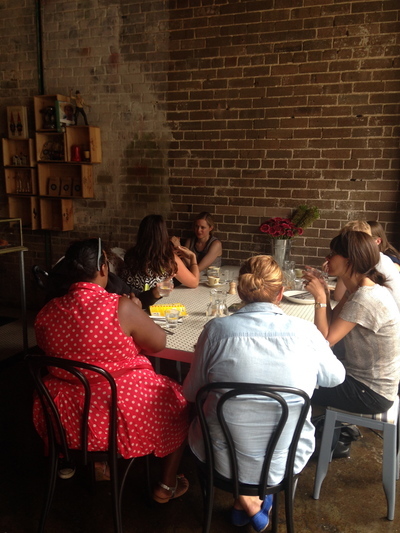 There are a few amazing places in Sydney I enjoy eating with friends. There is a lovely place in Kogarah named "Parea." Delicious tasting Greek cuisine that is perfect for a group environment. In fact I believe the word Parea in Greek means "group of friends." If I am in the mood for an Lebanese cuisine, "Al Aseel" has a few places in Sydney you can enjoy a generous amount of food to leave you full and satisfied. There is one in Greenacre, Newtown and Surry Hills and Lakemba. But my all time favourite is "El Bulli" a Spanish tapas style restaurant that tingles my taste buds with every bite. You will find "El Bulli" in Randwick and Surry Hills. Great atmosphere too, every now and then there will be live music performances for a little ambience. These all cater from small to large groups. You won't be disappointed. Wonderful answer, and welcome to Toopa Sydney. Brewtown Newtown in Newtown is great. Love that group corner. Pablo and Rusty's in the city is suitable for a smallish group. Lindt at Martin Place are also very accommodating with large groups on many an occasion! Mad e Pizza Bar is a restaurant franchise that has a few different locations throughout Sydney. I had the pleasure of visiting their location in Newtown when attending in a group. They offered a fantastic discount with $25 for each person and they get a choice from a few different items from the menu and drinks I believe. They make a to die for pasta and have a really cool modern Italian ambiance. Another place is Opa Greek Restaurant in Cronulla, which is a really short 2-3 minute walk from the station. They offer a set buffet menu for only $40 with all you can eat! There are about 7 small courses that you get to share with your group, they bring them out gradually so your tastebuds have time to process how delicious the food really is. Once you have completed the 7 courses if your brave enough you can do the whole thing all over again. The food is high restaurant quality, and if your lucky enough the small price can come with an amazing view of Cronulla beach. My friends and I do try to throw in one or two dinner outings at least twice during school term and are always on the look out for places. We quite like the lake side strip of restaurants in Norwest. It's busy with activity at night, so we can be as loud as we want to!